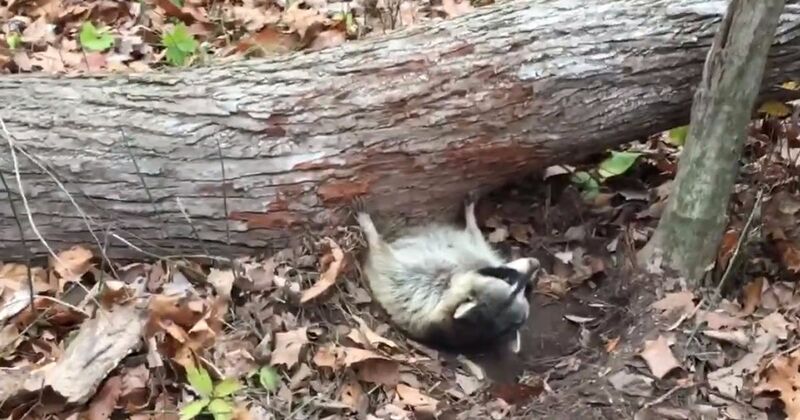 With the wind storms America has suffered during the recent hurricanes, we can really feel this little guy's panic as he lies trapped beneath a tree felled by a wind storm just about a year ago. He had no idea that humans, whom he knows are dangerous to him, would join together to free him from his plight. 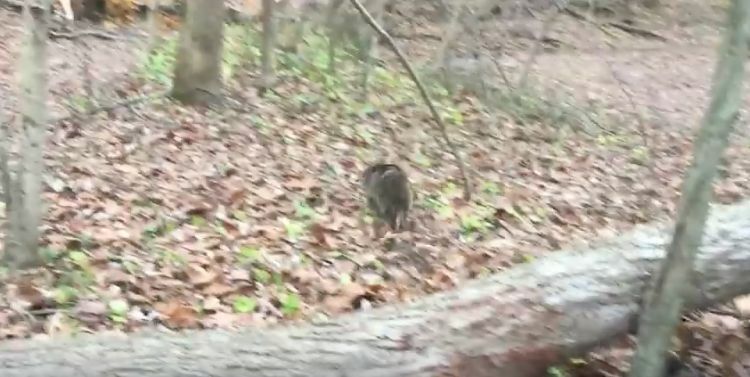 Tromping around in the November woods, Jeff Baird and his friends came upon this little fellow stuck underneath a wind-fallen tree. This amazing story starts with the astonishing fact that the creature was not killed! 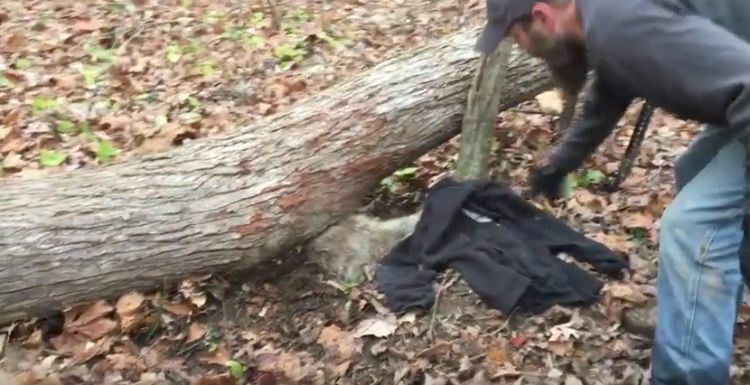 Chattering in his own language, the little raccoon didn't realize he could trust these men. For sure, his experience with humans was of the stay-away-and-don't-get-caught variety. As he struggled to free himself, it must have seemed so scary to be trapped and vulnerable. He could twist a little, but could not extricate himself. 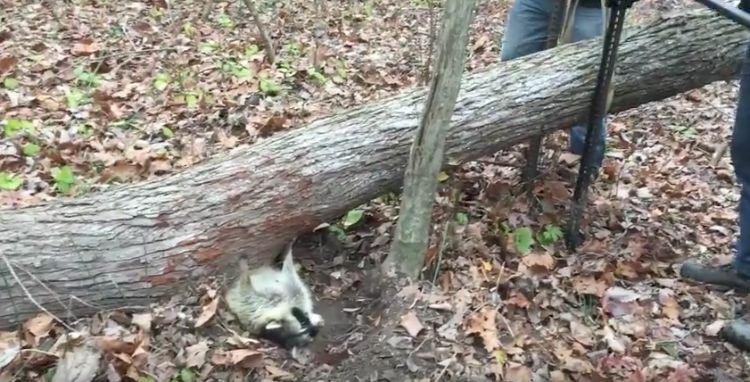 After using two car jacks to lift the tree as high as they could, the men still couldn't free the critter. 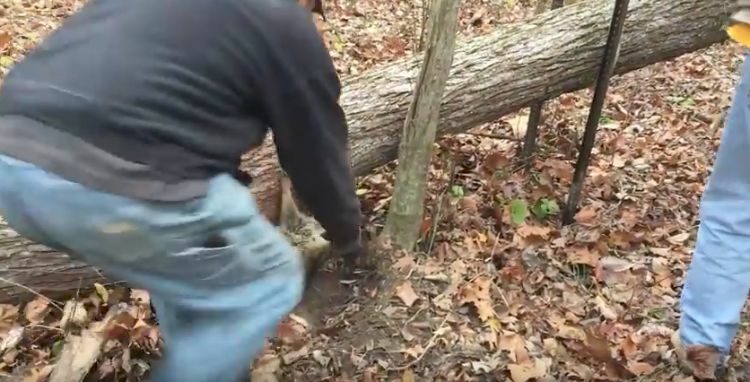 They would have to come at this rescue from another angle. 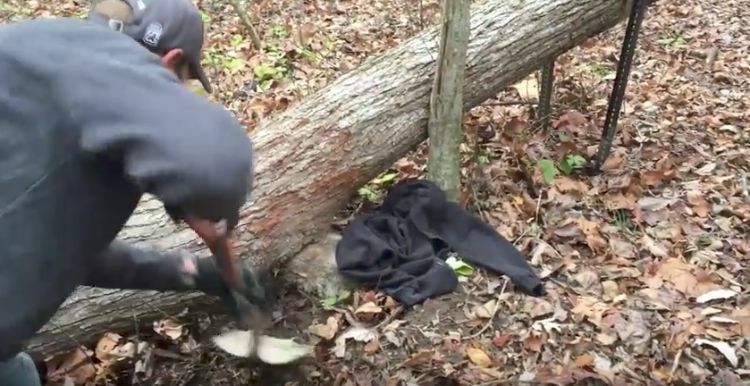 But when they tried to help him, the frightened animal tried to bite his rescuer! They would have to find a way to keep him calm while they worked to free him. Covering the raccoon's eyes would help. Lots of animals calm down when their eyes are covered and they can't see what's going on. This one was no exception. 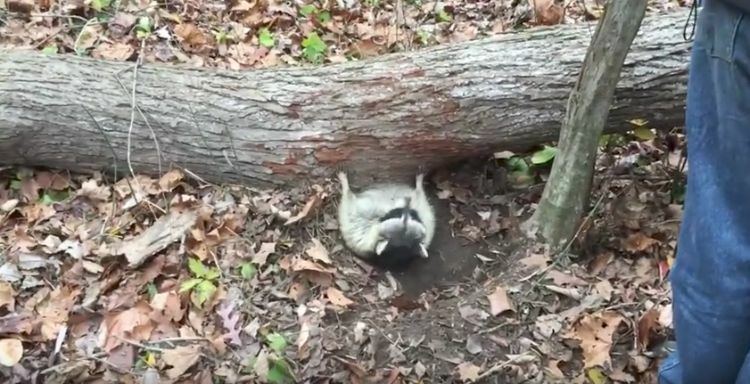 Now that he was no longer panicking and scrambling, the men were able to dig around and under the raccoon to give him enough room to struggle out of his prison. Once he was finally loose again, he took off in the opposite direction... and climbed another tree! Rescuing animals is not what Jeff Baird does for a living. 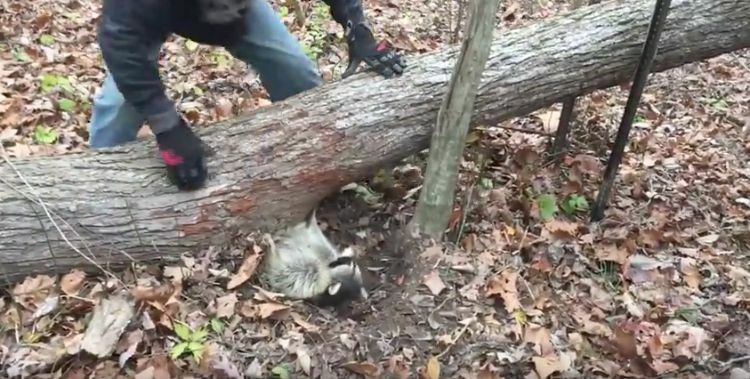 But this raccoon (sometimes called a "trash panda") was glad he was there this time! What do you think? Share this video with your social media circle and ask them if they've ever encountered a situation like this one? What would you have done?